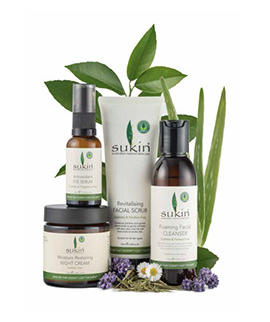 BWX Limited (BWX) is the leading natural skin care supplier to Australian pharmacies. In 2015, BWX was floated on the ASX at $1.50 per share. It has since recorded a 184% increase to circa $4.26 per share. This makes it one of the highest performing IPOs from last year. According to Bell Potter, BWX’s growth has been supported by a shift in consumer preferences. They argue that consumers are opting to use natural skin care products to alleviate concerns regarding chemicals and the environment. The broker previously identified several features of the skin care segment in Australian pharmacies. This included: recent annual growth of 17%; high fragmentation; and that amongst the top 5 brands, BWX was the fastest growing brand and the only natural one (‘Sukin’). Bell Potter believe that global demand for skin care products is expected to remain strong, particularly in the Asia-Pacific region. The broker suggests China may account for over 70% of the growth in this region by the end of 2019, as the middle class grows and incomes rise. Bell Potter recently provided a research update on BWX. BWX reported interim results showing sales growth of 25% to $27.6m. NPAT grew by 62% to $6.3m. These results exceeded Bell Potter’s forecasts by 7% and 6% respectively. The broker suggests these results were facilitated through the shift towards manufacturing in-house. This has significantly increased margins and production capacity for Sukin. Bell Potter believe BWX can maintain its growth through the strength of its Sukin brand in Australian pharmacies. Sukin makes up 70% of BWX’s revenue and is growing at approximately 40% per annum. Bell Potter also suggest future growth is expected to be boosted through exports, particularly into China. The broker also foresees limited capex in future years, supporting strong operating cashflows. Identifying potential risks facing BWX, Bell Potter noted: significant competition; dependence on Sukin; changes in consumer preferences; operational disruptions; global strategy execution; reliance on suppliers and partners; key personnel changes; and product quality issues that could impair the brand. Bell Potter has upgraded its NPAT forecast for FY16 by 6% to $13m, and by 8% for FY17 to $16.4m. The broker has a “Buy” recommendation in place for BWX and increased its target price 13.4% to $4.39.